One of the most popular weed killers in the world, Roundup®, is under scrutiny on a national level for its potential connection to cancer. Here are five crucial things you need to know. Manufactured by agrochemical company Monsanto, Roundup® is a common household name and may be present in your home or garage. In 2015, one of the weed killer’s main ingredients, glyphosate, was named a probable carcinogen by the World Health Organization. Roundup® users have become concerned about developing non-Hodgkin lymphoma and various other cancers found in the blood. Non-Hodgkin lymphoma is a type of cancer that attacks the lymphatic system. It develops from white blood cells that help the body get rid of infections. It isn’t unusual for this type of cancer to develop in other areas such as bone marrow, lymph nodes, or even the digestive tract. 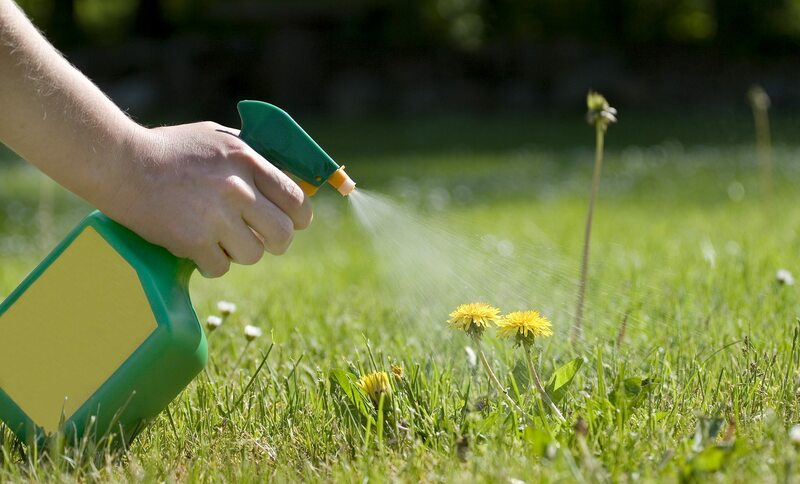 Roundup® use was potentially linked to non-Hodgkin lymphoma by the International Agency for Research on Cancer when several animals developed cancer after exposure to the weed killer’s main ingredient, glyphosate. Could you be at risk for developing cancer due to Roundup® exposure? If you or a loved one is dealing with a blood related cancer like lymphoma, and believe you may have been exposed to Roundup® on a regular basis, share this information with your doctor right away, and consider speaking with an attorney to see if you could be entitled to compensation. Because Monsanto didn’t disclose to purchasers and users that it’s Roundup® contained potential cancer-causing ingredients, several individuals have filed suit for they developed non-Hodgkin lymphoma after using Roundup®. Lawsuits have been steadily cropping up across the United States, mostly from those workers who used the weed killer repeatedly believing it to be harmless. In one case, McCall vs. Monsanto, a widow is suing the company for her late husband’s death in connection to his prolonged use of the product on their farm. Most recently in 2018, jurors awarded Lee Johnson, a California school groundskeeper who said exposure to Roundup caused his non-Hodgkin’s lymphoma, $39 million for his losses and $250 million to punish Monsanto after finding it liable for a design defect and failing to warn of Roundup’s risks. If you believe that you or someone you know has developed a blood-related cancer such as non-Hodgkin lymphoma as a result of Roundup® exposure, we’d be glad to let you know your legal options by phone, email or in person as you prefer. Consultations are free, so contact us today.